It has been two years since the Shift—when most technology stopped working, and the laws of physics changed. Humanity has been brought to its knees. Like other survivors, Noah Henson has heard rumors of the Aelves. Among other guesses, predatory aliens seem as good as any other theory for what caused the Shift. But for Noah, everything else takes second place to survival, sometimes even self-respect…or any sort of decency. Lawless, post-apocalypse America had forced Noah to make many difficult decisions, and he has never seemed to choose correctly. However, despite hating himself, he doesn’t have the strength or the courage to change. He will get a lucky break in a big way, though—a mysterious orb with otherworldly power. In time, perhaps Noah will find another path. And if he does die during the Shift, maybe it won’t be the end of his story. Sometimes, another chance can be an opportunity for redemption. A great novel that I almost stopped reading at the 25% mark. 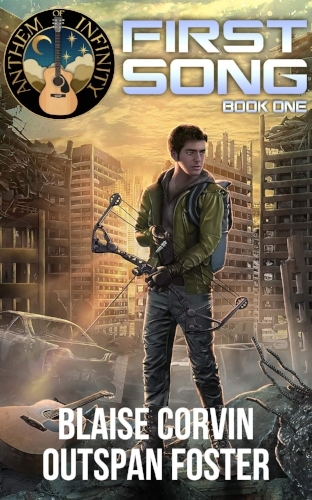 The twist there shifted the entire story into a different sub genre of LitRPG and the suddenness of the shift actually made me put the novel down. I had to talk to myself for a couple minutes and reassure myself that both authors are both good storytellers and to trust what they were trying to do here. Thankfully I'm good at talking myself into things cause the story after the 25% starts a little slow and almost feels like a new novel in some ways but builds into something great. Like really satisfyingly stuff. Without spoiling things for you I can assure you the story is LitRPG and eventually does reconnect with the first 25% of the novel. Minor things to warn about, and the most frequent complaint in reviews online, is that the beginning of the story doesn't have a lot of LitRPG elements, those don't really show until after that 25% mark but after that they show up regularly. Also, in that early section the MC is a bit hard to root for, but it’s all setup for character development later, as is most of that section.